The group was formed in Kingston, Jamaica by Wesley Tinglin, along with Daniel Bernard and Bunny Gayle, and after auditioning unsuccessfully for Duke Reid, the trio made their debut recording for producer Clement “Coxsone” Dodd in the middle of the rocksteady era in 1967. The group recorded several singles for Dodd’s Studio One label, including “Ya Ho”, “Fat Fish”, and “Love & Unity”, and these tracks were collected together by Heartbeat Records for a 1995 compilation album. They went on to record for several other producers in the late 1960s and 1970s, including Derrick Morgan, Winston Riley (who produced their hit “Mission Impossible”), Lee “Scratch” Perry (including “Babylon Deh Pon Fire”, which was credited to Truth Fact & Correct), Lloyd Daley, and Pete Weston. They also returned to record at Studio One in the late 1970s. Gayle left, with Neville Ingram taking his place. In 1980 Bernard also left, with Norris Reid joining (Reid also recorded as a solo artist, releasing Give Jah the Praises in 1979 and Roots & Vine in 1988). The Viceroys’ first album release was the Phil Pratt-produced Consider Yourself (1978), originally credited to their alias The Interns and later released as Ya Ho, credited to them. 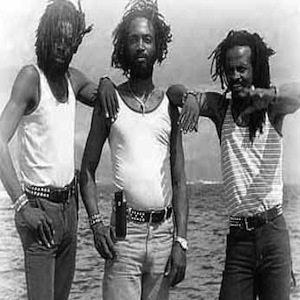 They had a big hit in Jamaica in 1980 with the Sly & Robbie-produced “Heart Made of Stone”. Their first album released as the Viceroys was the Linval Thompson production We Must Unite, released in 1982 by Trojan Records, and featuring the Roots Radics. Thompson also produced their 1983 album Brethren and Sistren, and in 1984 they moved on to work again with Winston Riley on the Chancery Lane album, by which time Reid had left to concentrate on his solo career, Chris Wayne taking his place. A further album was started but was not released, the group splitting up before it was finished. It was eventually released in 2004 as Love Is All, with a few new tracks added. Wayne subsequently recorded as a solo artist, releasing three albums in the late 1980s and early 1990s. After a period of inactivity, Tinglin revived The Viceroys with Ingram and new member Michael Gabbidon, and they recorded a new album in 2006, a live recording from Earl “Chinna” Smith’s yard in French label Makasound’s Inna de Yard series.